This tabletop device automatically stops your dog’s barking, giving you peace and quiet in your own home. Simply put it on a table or counter in the room where your dog barks the most. Whenever your dog barks, all pets within range will hear a 2-second ultrasonic tone. 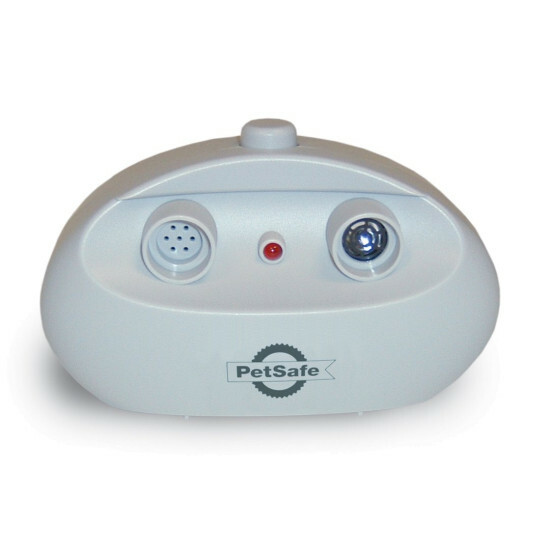 You can can set it to go off automatically every time your dog barks or manually press a button to make the tone sound. Your dog will learn to associate his barking with the unpleasant high-pitched sound that's inaudible to most humans. Most dogs bark less within a few days. The device covers 25 feet, about the size of 1-2 rooms in a typical house. Add an extra unit for larger rooms or one unit for each room in your home. If your dog barks throughout your home, consider a bark collar instead. 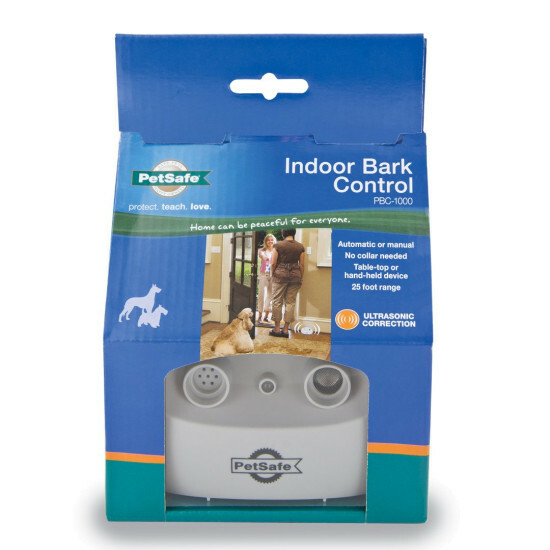 Ultrasonic bark correction is often the best bark control solution for many dogs. However, it will not work for all dogs because of factors like age, hearing ability, and temperament. When setting up the device, make sure there are no obstacles between the dog and the device. Also, make sure that the speaker is less than 10 feet high and is facing the direction of the barking dog. Add additional units to cover rooms larger than 25 feet. Don't use this product outside your home. The ultrasonic sound will bounce differently outdoors.